Pittsburgh Underground: Announcement: PU Starts It's 5th Year!!! Announcement: PU Starts It's 5th Year!!! Greetings ghouls and fools! Can you believe it’s been five years already? That’s right! 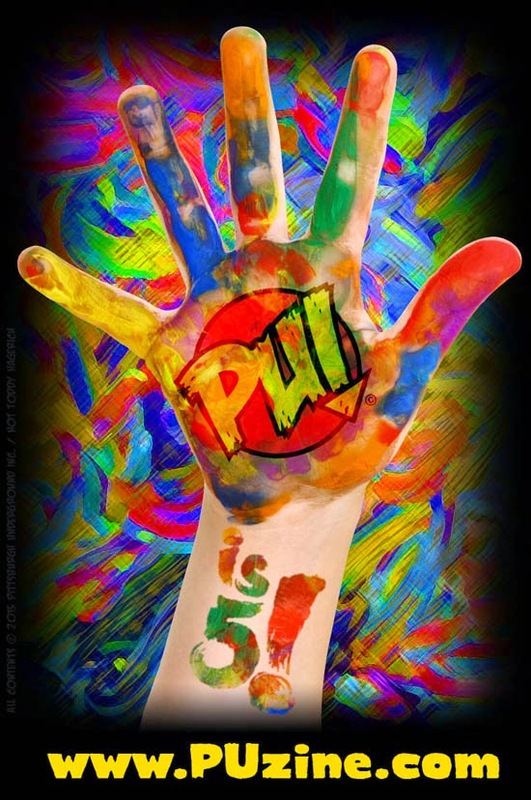 Good ol’ PU is having it’s fifth anniversary of bringing you the weird and wacky throughout Pittsburgh!!! With that, I just wanted to thank everyone out there who’s been part of keeping the underground alive and ticking for the last five years and greet those newbies who are just checking us out for the first time! Pittsburgh Underground continues to be forum for comic books, science fiction, movies, geek & pop culture, puppetry, special effects, food, toys, video games, television, our PU originals with PU Pulp Posters or episodes of Dead Zed Zombie, and most importantly Pittsburgh’s zany, brainy, and painfully under appreciated creative community! We are always looking for ways to connect the Pittsburgh community of artists and audience together - comic book creators, local theater troupes, indy film makers, musicians, local eateries, pop culture conventions, and everything around the edges. You tell us what’s up and we’ll get the word out! As always, I want to invite all of our readers to contact us with their creative projects or interests that fit within the strange and silly world that is Pittsburgh Underground. You can drop us a line at PU@PUzine.com or send us an event notification on our PU Facebook Page. Also, don’t forget to subscribe to the blog, keep us in your favorites, like us on Facebook, Twitter and our Youtube Channel! With that said, thanks for taking the time to join us here at Pittsburgh Underground and stay tuned for more as we enter our fifth year of frightening fun!! !